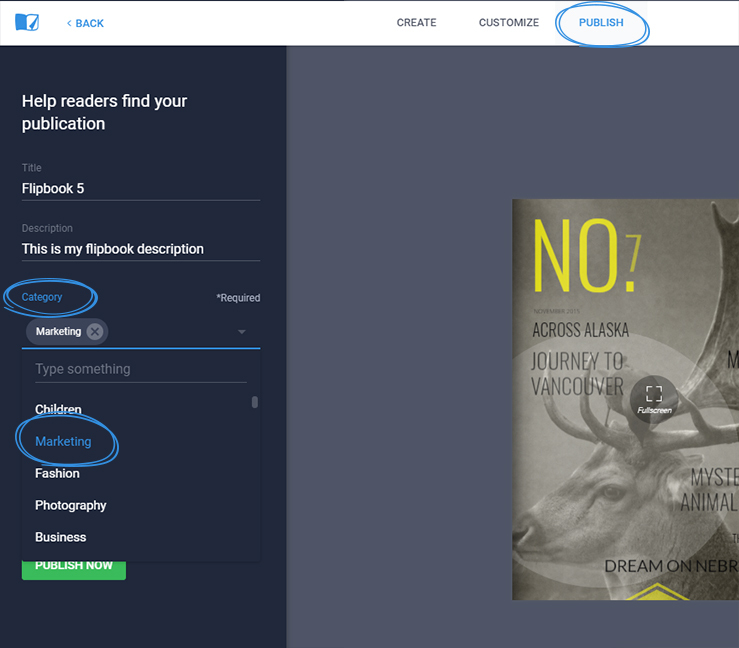 Select up to two categories before publishing your flipbook. Before you can publish your flipbook, you are required to select a category for your flipbook. In our editor, go to the Publish tab and from the Category area, select a category (or two) from our drop-down list that best fits your flipbook's content. NOTE: Must have at least one category selected in order to be able to publish your flipbook and you can select up to 2 categories per flipbook.